At Connecticut Sealcoating, LLC we have made it our mission to deliver the best customer experience to all of our clients. 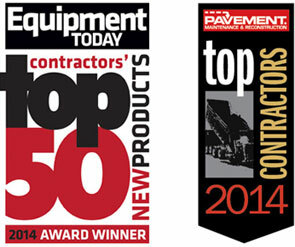 As a top asphalt contractor in Southington, we are dedicated to providing the top of the line asphalt paving services. 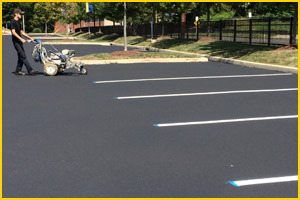 Whether you are looking for sealcoating a commercial parking lot or residential asphalt repair, Connecticut Sealcoating, LLC is the company for you. Contact us today! We recently received an online request for parking lot maintenance in Southington. A client who we had worked with before was looking to restripe his parking lot. Over time, asphalt will begin to fade in color as it deteriorates. This also causes the lines in many parking lots to become more difficult to see. We gathered some more necessary information and set a date to visit the site. We sent out an asphalt professional to evaluate the condition of the asphalt surface. This allows to determine the scope of the asphalt paving project, and determine if there are any necessary asphalt repairs that need to be made. After visiting the parking lot, the asphalt surface was in relatively good condition. We spoke with the client and provided him with an estimate. Our crew recommended sealcoating the parking lot prior to restriping. This would add an extra layer of protection for the asphalt surface, and allow for better asphalt maintenance. The client happily agreed and we set to begin work the following week. By the completion of the asphalt paving project, the parking lot looked brand new. The sealant dried and provided some much-needed protection for foreign material penetration. We were also able to add an extra parking space for customers of the business to utilize. The client was extremely happy with our work. He was pleased to know he had chosen a premier asphalt contractor in Connecticut.